Over the Christmas season we received many "family" letters where the writers chronicled the events of the past year. It appears that some of our friends enjoy a very idyllic existence with life appearing to be "like a bowl of cherries". Others shared their struggles and their year looked like "the pits". It's always good to hear from "old" friends though and to share in their lives. One friend shared some thoughts on celebrating the birth of Jesus and a phrase he used struck a chord with me. He wrote, "Regardless of what you believe and/or celebrate or not celebrate around this season, the fact still remains that at some point in time, God did the unexpected for the undeserving." 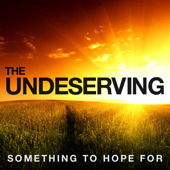 The unexpected for the undeserving? God chose to reveal Himself in the person of His Son, Jesus Christ, in the incarnation for us...undeserving sinners. I'm so grateful that God thought enough of me to provide for my redemption through His only Son. Aren't you glad He thought of you too? Yes, I am!!!!! He lifted me up from the pit of hell and gave me a new life for eternity with Him!!!! Hallelujah!!!!! Danny and his wife are pregnant! The baby arrives in September, I am going to be "abuela"!!!! !